Iron-deficiency anaemia, migraine and other musculo-skeletal conditions (that include everything other than osteoarthritis and rheumatoid arthritis) are the top three causes of disability in India, according to the Lancet series author. The Lancet series highlights the extent to which the condition is mistreated, often against best practice treatment guidelines. “In terms of burden of low back and neck pain in India — it accounts for almost 7% of years lived with disability. 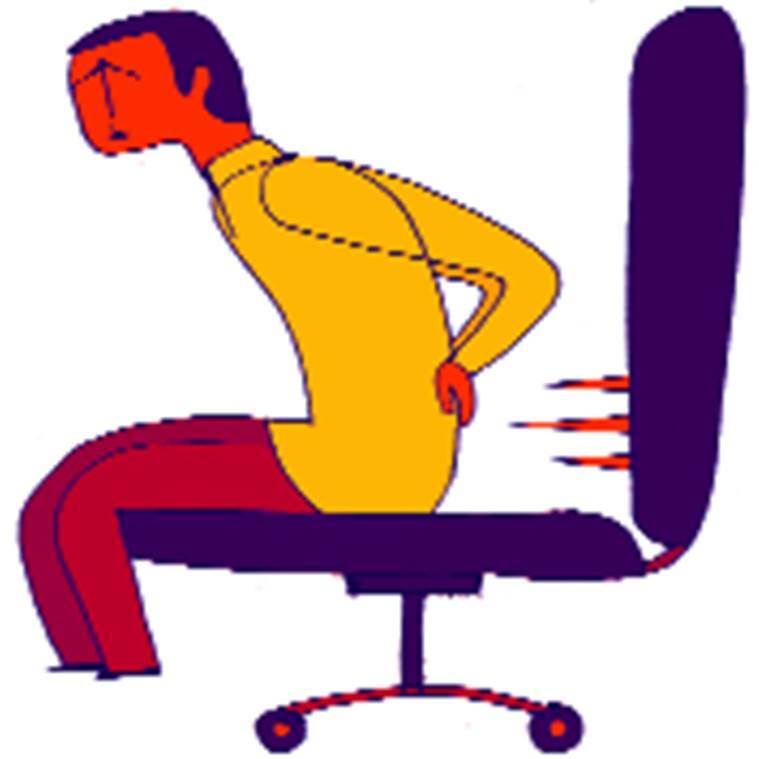 Low back pain is the 4th highest cause of disability in India,” Prof Rachelle Buchbinder, Monash University, Australia, told The Indian Express in an email interview. She is author of the Lancet Low Back Pain Series and chairperson of the working group steering committee for the series. “I expect the number of people who live with this is going to be in the order of millions (for example in Australia it is 3.7 million in 2015),” Buchbinder said. She added, however, that they did not have good data from India in the original review of activities limiting low back pain. “One of the things we are calling for in our series is that countries collect high quality data about prevalence and also measure burden,” she said. The Lancet series highlights the extent to which the condition is mistreated, often against best practice treatment guidelines. Evidence suggests that low back pain should be managed in primary care, with the first line of treatment being education and advice to keep active and at work. “However, in reality, a high proportion of patients worldwide are treated in emergency departments, encouraged to rest and stop work, are commonly referred for scans or surgery or prescribed painkillers including opioids, which are discouraged for treating low back pain,” Buchbinder said. The series reviewed evidence from high- and low-income countries that suggests that many of the mistakes of high-income countries are already well established in low-income and middle-income countries. Low back pain results in 2.6 million emergency visits in the US each year, with high rates of opioid prescription. In India, studies suggest that bed rest is frequently recommended, and a study in South Africa found that 90% of patients received pain medicine as their only form of treatment, the series has highlighted. “India was no different from the rest of the world. Indian clinicians manage back pain just as poorly as the rest of the world. For instance a 2008 survey of all 186 registered physiotherapists in Maharashtra showed that 46% advised patients with low back pain to rest. 63% of Indians believe that bed rest is the mainstay of therapy. This is a misconception as bed rest delays recovery,” Buchbinder said. Imaging for low back pain also seems to be highly prevalent in several low-income and middle-income countries, including India. A study in 2008-10 showed that among 251 patients with chronic low back pain reviewed in an Indian orthopaedic clinic, all underwent imaging, with 76% diagnosed with non-specific low back pain and 10% with spondylosis. “Most people do not need imaging. It can be harmful including radiation, anxiety as well as risks increased use of unnecessary tests and treatments which might also be harmful,” Buchbinder said. The Global Burden of Disease study (2017) found that low back pain is the leading cause of disability in almost all high-income countries as well as in many regions. Globally, years lived with disability caused by low back pain increased by 54% between 1990 and 2015, mainly because of population increase and ageing, with the biggest increase seen in low-income and middle-income countries. Dr Arvind Chopra, director of the Centre for Rheumatic Diseases, Pune, and senior research professor at SRM Medical College, Chennai, said that in the WHO community programme for control of rheumatic diseases, an India survey of 56,546 persons from 11 sites found the prevalence of back pain at 7%, and 13% among those aged over 65. “This would mean that millions of Indians suffer from back pain which leads to disability, low productivity and poor quality of life,” he said.